After a period of stagnation, the less-than-truckload ("LTL") shipping industry has recently experienced a revival. And, while the major players have seen revenue gains, it is the smaller LTL operators who lead the pack. In this article, we discuss the factors leading to the remarkable gains for smaller LTL carriers, and how advances in information technology and automation will help them to continue transforming the LTL shipping industry. Make no mistake, the LTL industry is still dominated by a relatively few major players. According to the trade publication Logistics Management, as of last July, the top 25 carriers controlled 90% of the LTL shipping market. But, as the United States economy continues its recent strong run, the numbers suggest that conditions are ripe for smaller carriers to reap an outsized share of the gains. 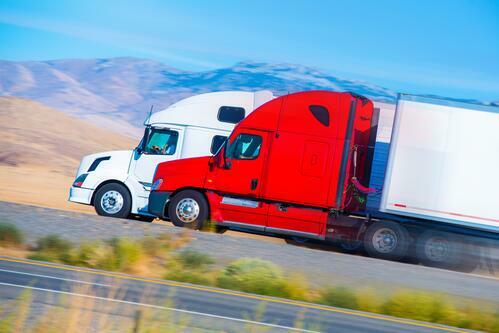 Industry website JOC.com recently published some striking data highlighting the bullish environment for smaller LTL carriers. Among the hundreds of small carriers that did not rank among the LTL shipping industry's Top 25, combined annual revenue grew 8.5%, besting the annual revenue gains of the big guys by 0.7%. And, considering that the 25th largest LTL operator in the Top 25 had annual revenues of $166 million, the combined gain for the hundreds of smaller carriers represents a significant surge in real number terms. JOC.com credits the overall demand for LTL shipping services nationwide as contributing to the gains for smaller LTL operators. The continuing growth in shipping demands from e-commerce, in particular, has led to a tightening of LTL capacity. Larger carriers such as FedEx Freight and UPS Freight have the luxury of rejecting less-profitable loads, particularly on shorter and more out-of-the-way routes, leaving those jobs to smaller operators willing to step up. In response, existing regional carriers are adding capacity to meet the high demand. But even with new capacity coming online, rates are expected to remain high for the time being. That creates an opportunity for new entrants into the industry. Although the capital expenditure for new carriers to enter the market is large, conditions are ripe for new small operators to pop up to meet the demand from shippers -- particularly small and medium-sized e-commerce companies -- who are willing to accept longer transit times (inevitable for new LTL shipping companies with limited hub-and-spoke networks) in exchange for more competitive pricing. Advances in logistics technology, in particular, will make it possible for new entrants to compete with the larger, established companies. In a recent review of logistics tech for Logistics Management, manufacturing and supply chain management writer Roberto Michel pointed to near and longer-term transformations that have the potential to disrupt the industry. One near-term solution already making waves is predictive analytics, in which transformation management systems ("TMS") harness the power of artificial intelligence to predict LTL capacity supply and demand, to optimize routing, and to match stray capacity (such as on empty backhauls) with shippers. These changes can be particularly helpful in addressing "last mile" delivery capacity needs that e-commerce has spurred. As reported last month by JOC.com, predictive analytics is a focal point of the $450 million investment a leading LTL carrier plans to make this year to streamline its operations. By using advanced algorithms to compare historical demand against customer data, the LTL carrier’s TMS is able to predict the company's day-to-day labor needs, speeding up fulfillment and enhancing customer experience. Over the horizon, industry writer Michel sees potential in new modes of automated transport, such as driverless trucks and Hyperloop systems, to shake up the marketplace. It's not difficult to imagine the impact these technologies could have. A shipping network consisting of a dynamic fleet of driverless trucks responding to shippers' capacity needs in real-time could be integrated with an ultra-high speed Hyperloop connecting major transportation hubs, cutting shipping times dramatically and eventually lowering costs for shippers (albeit after a period of recoupment of the large infrastructure investments that would be needed to bring these technologies into the mainstream). And, although that sort of major disruption is likely a decade or more away, some automated systems are already in the works. For instance, one of the major carriers is at the leading edge of using drones and robots to streamline operations at its warehouses. Other LTL carriers are sure to follow lead as the gains from automation and analytics become more apparent. Opportunities for Optimizing the "Last Mile"
The revenue gains for smaller LTL operators, and the market and technology conditions spurring new entrants, spell opportunity for e-commerce companies and retailers in need of creative fulfillment solutions. As more of their customers demand at home delivery, shippers stand to benefit in particular from developments in "last mile" delivery alternatives and features. Michel predicts that shippers and their customers will benefit from imaginative repurposing of excess commercial real estate capacity, from underutilized shopping malls to in-town storefronts that can double as warehouses and miniature collection and distribution points for smaller, nimbler LTL carriers. Another solution that holds promise in the United States, having been proven in China and elsewhere, is installations of "smart lockers" to serve as package drop-off and pick-up points. Locker systems that integrate sensors, GPS-based package-tracking and big data analytics that take delivery conditions such as weather and traffic patterns into account may transform the interaction between shippers and their customers. Instead of waiting around for a delivery driver to show up at their door, customers could direct delivery to the most convenient locker bank, be alerted to when a package has arrived at its locker destination, and retrieve packages on their own time. Small LTL shipping companies, too, could benefit from the flexibility offered by smart lockers and big data to optimize delivery scheduling and return-package pickups. At Freight Scouts, we provide truckload, less-than-truckload, and specialized LTL, expedited and white glove services. To learn more about how we can help your company control costs and streamline distribution by leveraging shipping opportunities, contact us today.